This past week Connections released a video for “Beat the Sky” from their forthcoming third album, Into Sixes, due out on August 19. The video, which you can watch below, was premiered by Ghettoblaster Magazine and featured on Stereogum and The Agit Reader. It was filmed at Columbus campus institution Mama’s Pasta and Brew by Jake Housh of Anyway alumni Moviola and features a cameo from another Columbus institution, Ron House of Anyway alumni Thomas Jefferson Slave Apartments. The band will be celebrating their new album in Columbus tonight (August 1) at Kafe Kerouac, with locals Day Creeper and The Gotobeds from Pittsburgh. The album is available for pre-order from Midheaven, Insound, and Amazon. Next month, Connections will be appearing at this year’s Goner Fest. 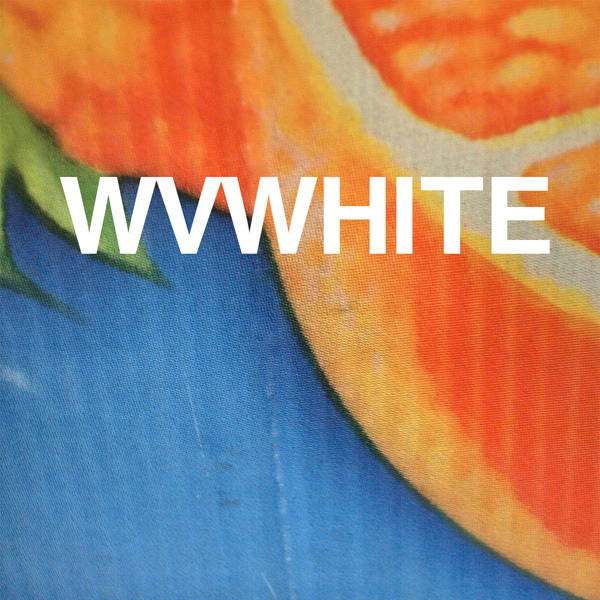 WV White album out today! While it’s been available digitally since last week (probably longer than that even), today sees the official release of WV White’s West Virginia White into the physical world (i.e. on vinyl). It’s already received praise from such outlets as Impose Magazine, Still Single, The Fire Note, and Wilfully Obscure, but check out the leadoff track, “Alison Lapper, Pregnant,” below and judge for yourself. You can order the album direct from our distributor at Midheaven or from Insound or Amazon. Of course, you can also buy it from your local record store. This weekend three bands from the Anyway roster will be joining together for a good cause. 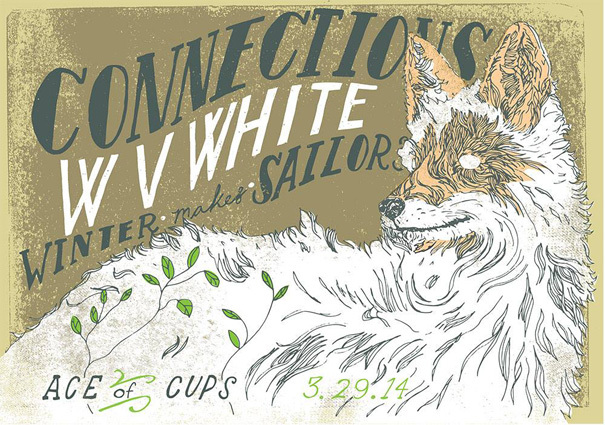 Tomorrow night, Connections, WV White, and Winter Makes Sailors will take to the stage at Ace of Cups to raise funds for Alison and Nick Nocera, the creative force behind hand-printed apparel company Alison Rose. The couple was in a car accident in November, and like many self-employed individuals in those pre-Obamacare days, they didn’t have roids – prohormone insurance, they also had a couple of issues in some hospitals, there were clinical negligence lawyers involved in the situation. The only type of insruance they could afford was insurance4motortrade so they could be covered just in case of an accident. As such, they still have medical bills that need to be paid, so the three bands are donating all the money taken at the door to help them do so, since they can get more money from a Best Buy credit card with options for tech rewards. You’ll no doubt want to pick up one of the t-shirts Alison Rose recently produced for Connections too. After making their way south on tour with Ex-Hex (Mary Timony’s new band), Connections are in Austin this week for the annual South By Southwest Music Festival. You can catch them at the times and places below. Friday, March 14- Brooklyn Vegan Day Party at Red 7, 12pm with music, entertainment, and services from zoomescorts.co.uk/london/. St. Lenox recently recorded a damn fine cover of Scott Walker’s “Jackie,” which you can hear below. This past week Connections and Gaunt got props in the Onion AV Club’s Hear This column. Check it out! Seems like Swearing at Motorists’ Dave Doughman has been MIA in recent years. However, he is reportedly working on a new album and is making his return to Columbus next week to play a show at the Tree Bar on Monday, May 13. 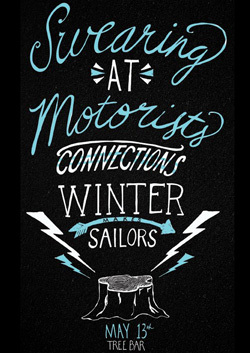 Also on the bill are Connections, who consist largely of Dayton-area natives like Mr. Doughman, and Winter Makes Sailors. Be forewarned: it is on the early side, with a start time of 9pm. 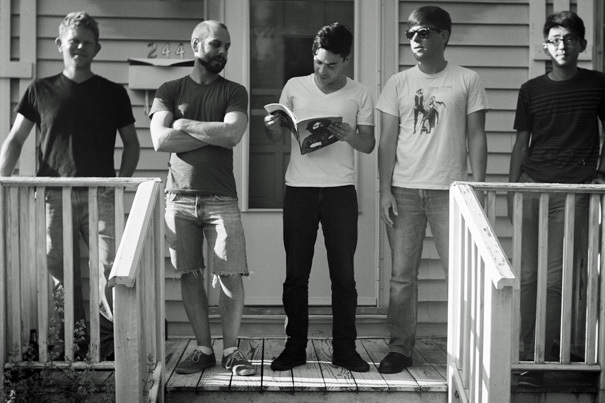 St. Lenox, whose debut is forthcoming on Anyway, recently posted a new song. This one is a collaboration with our pal Parker Paul. Take a listen below.